Blade & Soul‘s next update will add more raid content and feature the return of the Merchant of Wonders — with some spooky goodies for players to pick up. The first big-ticket item in this update is the new Hive Queen raid boss, Zulia. This feisty lady is hidden somewhere in the Temple of Eluvium and it’s your job to find her. Of course, you’ll have to fight your way through a variety of monsters in order to get to her and take her down. The other major bit of content here is the continuation of the Aransu school story line. Players will find themselves having to take on the Great Thrall that used to protect the school — now known as the Vileblood Thrall, as it’s been corrupted. This is the only way to set things right and return order to the Aransu School. Along with the above additions, the update ushers in this year’s Blade & Ghoul Halloween content, the Merchant of Wonders returns with all new goodies to tempt players with… AND… there’s a chance to earn rewards using a Ghoulish Gift Box. 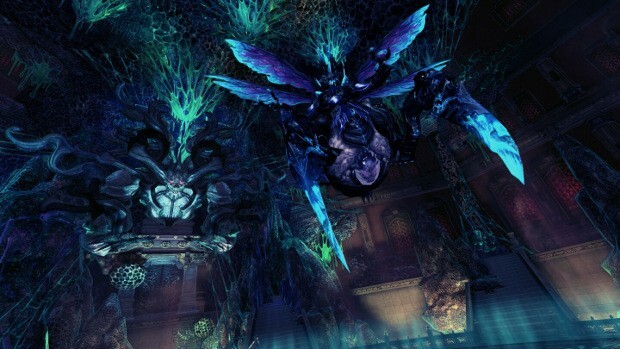 More detailed information on all of these things can be found on the Blade & Soul site.